Registering a solid, confident style situation is the gorgeous Lona Outdoor Aluminium Side Table from Design Warehouse. Flawlessly executed, the Lona Side is the contemporary answer to all your accent table needs! 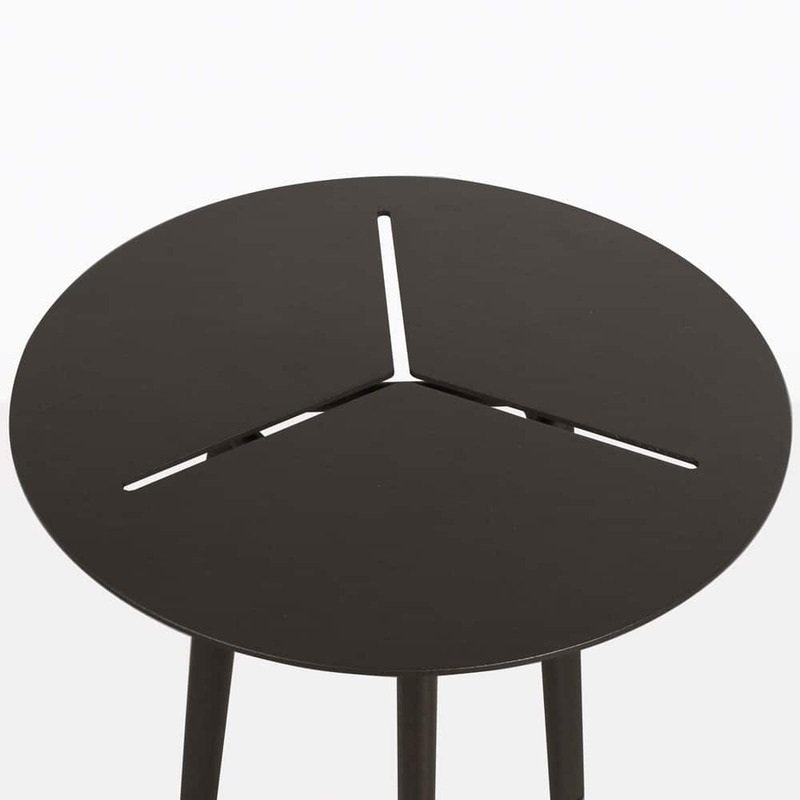 A gorgeous round table top is detailed with geometric cut outs, which takes the Lona Table to contemporary heights! The legs are three solid aluminium stands that keep this stunning table looking lightweight and contemporary. 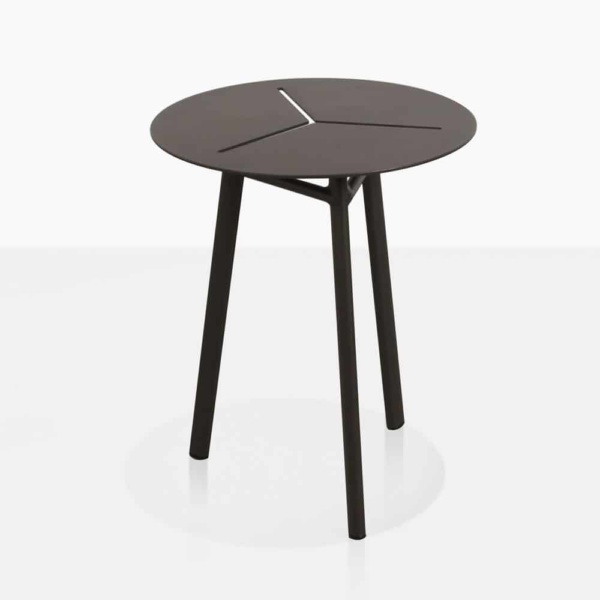 This fabulous Lona Table suits many areas, inside or out. Curate a space of stunning simplicity with an elegant club chair paired with the Lona Side Table. You’ll enjoy the chic offering that this table and chair combo allows. Perhaps your space is larger? Commercial? Needing to create a welcoming space of comfort and authority for many people, but not at the expense of style? 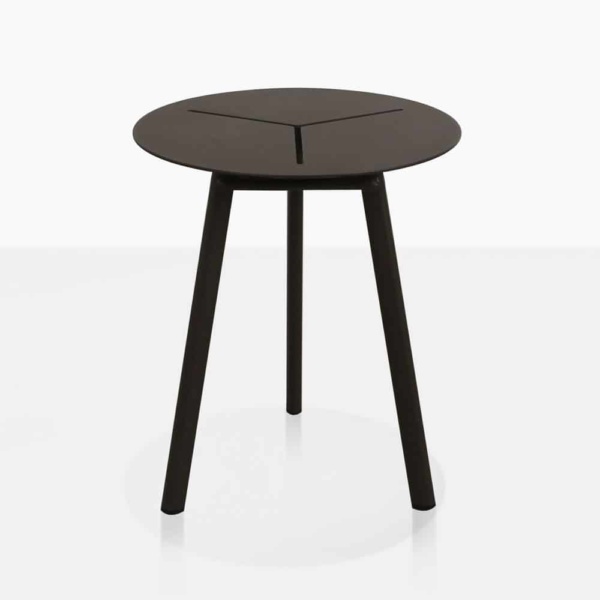 Enter the Lona Aluminium Side Table. An elegant choice for many styles of seating. Compliment loungers, club chairs, bean bags and more with this simple, urban and stylish design. The Lona Accent Table is also an excellent choice for indoor use! From a dainty bedside table, to a lamp table for your living room, this chic, contemporary look will add stunning layers to your space! Made out of solid, robust aluminium, the Lona Outdoor Side Table is powder coated to perfection in stunning black matte, which additionally protects the table from the harsh environment, as well as looking super swish! Design Warehouse is at the forefront of high end, luxury outdoor furniture. Come and see us to bridge the gap between style, comfort and quality in your backyard! Deep Seating, dining, relaxing, shading, accessories and more. We have many options to suit many styles of home. The Lona Aluminium Outdoor Side Table is available now! What are you waiting for? Dress your space to impress with the Lona Side from Design Warehouse.